Anti-lock brakes help you maintain better control of a vehicle under difficult road conditions like ice, rain or snow. When you drive your car through slippery conditions, you have to pump your brakes to make sure that the wheels do not become locked up. With ABS, the pumping is handled internally and much faster than you could do manually. The ABS brakes coordinate the wheel activity, which keeps your vehicle from spinning out of control. 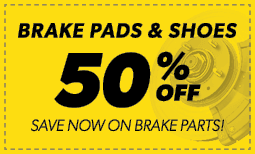 Learn more about ABS brake service and where to buy brake fluid when you come to Meineke #1460 at Pflugerville, TX. Brakes are the most important safety feature on your car. While people sometimes procrastinate on repairs, a problem with your brakes means that you should stop driving your car and get it checked right away. A crucial part of keeping your brakes in good working order is using the right brake fluid and replacing it on time. There are several types of fluid, including silicone brake fluid and mineral brake fluid. Failing to replace brake fluid on time can cause it to absorb a high percentage of water and compromise your brakes’ function. To get an estimate of brake fluid cost for your car, speak with technicians at Meineke #1460 in Pflugerville, TX. Your ABS is a crucial safety feature. Fortunately, there are several warning signs that will allow you to get it repaired before it fails. Many cars today have an ABS warning light. If yours comes on, take your car to a mechanic and have it checked right away. Other red flags for impaired anti lock function include brakes locking up at odd times, brake pedals that do not respond to pressure and a greater amount of pressure being needed to brake. If you notice any of these, it is time for an immediate check-up. Stop at Meineke #1460 in Pflugerville, TX to learn about ABS system cost for repair or replacement. If your ABS fails, you can find yourself in a potentially very dangerous situation. Your anti lock system is what keeps your car from skidding or hydroplaning when you brake. For this reason, it is important to pay attention to signs that your brake system is impaired. One of the most common signs of an ABS problem is difficulty in applying the brake pedal, whether it offers more resistance or less than usual when you press it down. This type of problem is frequently related to brake fluid leakage or clogs and can arise whether you use silicone brake fluid or mineral brake fluid. If you notice a difference in brake pedal resistance, get your system checked at Meineke #1460 in Pflugerville, TX. 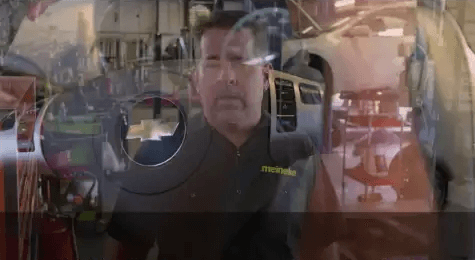 If you are accustomed to bringing your vehicle in to Meineke #1460 in Pflugerville, TX, for routine inspection of your anti-lock brakes, you already know that this represents big cost savings. You might need a minor part or some brake fluid added to the system, and this kind of service can be done quickly and inexpensively. If, however, you have worn brake pads, replacement will be required and you should have that done as soon as possible. Brakes of any kind are designed to wear out, and brake pads are only one component that might need replacing. We will assess any brake problems you’re having and recommend the most appropriate solution. Although you can certainly learn how to recognize signs that your ABS brakes need repairs, any repairs should be provided by certified technicians who can ensure your brakes are in good operating condition. Before you come into our store, take a look at our coupons and pick up some savings. 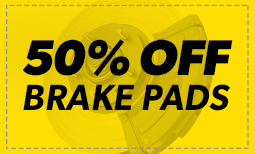 If you are ever in need of brake repairs, come to the professionals at Meineke #1460 in Pflugerville, TX. Keep your passengers safe in every type of driving condition by maintaining your brakes.